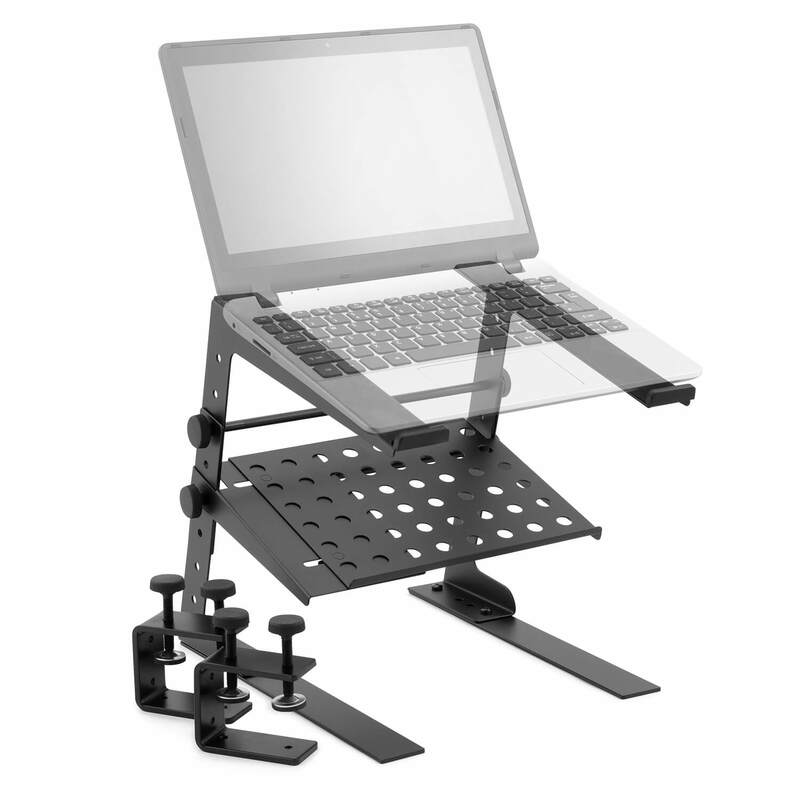 This Tiger Laptop Stand With Shelf is an adjustable DJ stand suitable for laptops of varying sizes. 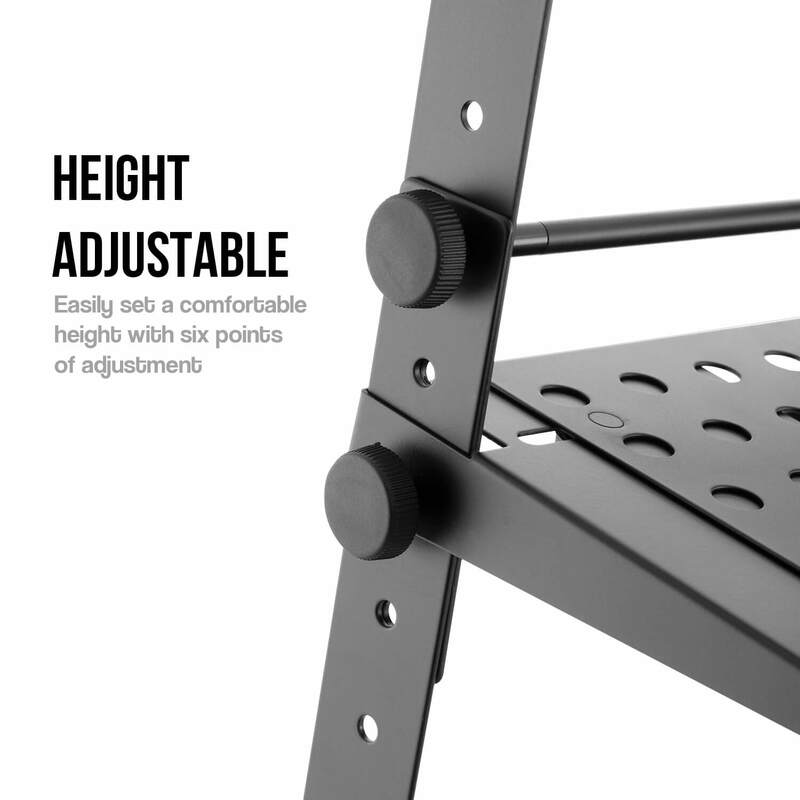 Ideally mounted to a DJ stand in nightclubs, studios or the home, this convenient stands allows DJs to combine analogue equipment such as turntables with computer-based music making capabilities. 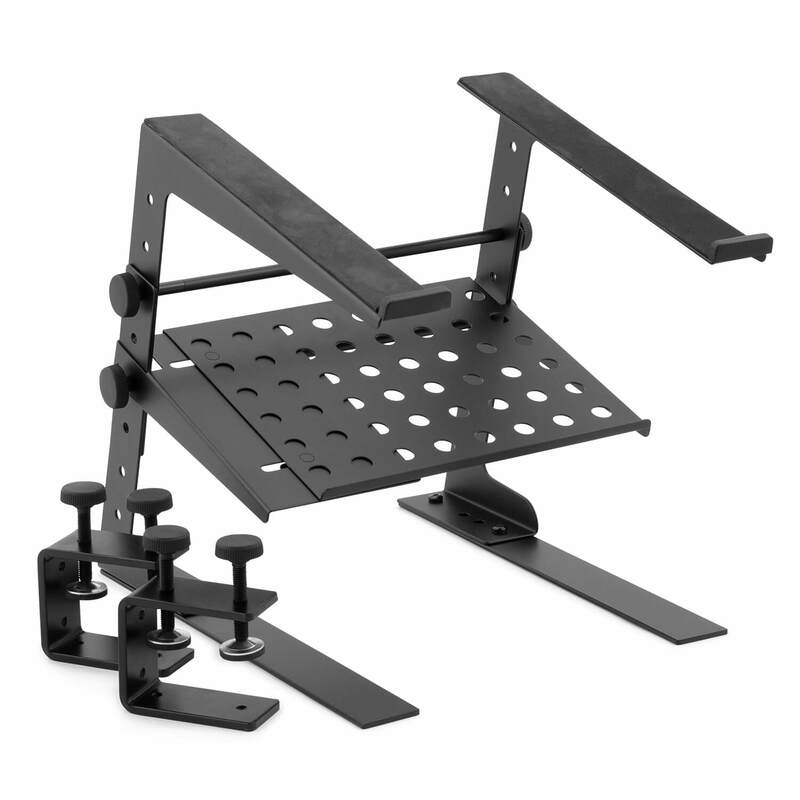 Additionally, this Tiger DJ stand and shelf is quickly and easily mounted to a variety of stands to help users find the most practical position. Best DJ stand out there. Great wee stand. With multiple fitting options. The clamps add stability and with no long legs you get room underneath to sit larger equipment. High quality steel throughout. I plan on buying another one. Highly recommended product. Excellent robust and the perfect stand to hold my second laptop. Shelf too small really but overall I'm quite happy with it and I would recommend it.